Silvine A4 Twin Wire Hardback Notebook Assorted 140 Pages Ruled THBA4AC Win a Mac Book Pack of 6 "Silvine A4 Twin Wire Notebook. 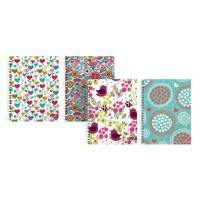 Made with care in the UK, quality paper, durable hard covers in bright colours. 140 pages of lined perforated paper. Twin wire bound. 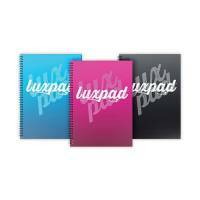 Assorted hardback covers in Blue, Black and Pink." 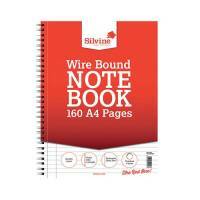 Silvine A5 Twin Wire Hardback Notebook Assorted 140 Pages Ruled THBA5AC Win a Mac Book Pack of 12 "Silvine A5 Twin Wire Notebook. 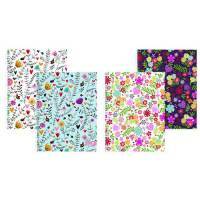 Made with care in the UK, quality paper, durable covers in bright colours. 140 pages of lined perforated paper. Twin wire bound. 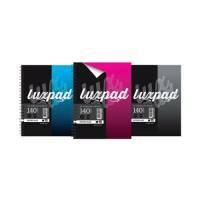 Assorted hardback covers in Blue, Black and Pink." 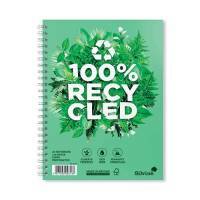 Silvine A4 Everyday Recycled Wiro Notebook 104 Pages Feint Ruled (Pack of 12) TWRE80 Pack of 12 Silvine A4 Everyday Recycled Wiro Notebook. Made with care in the UK. 100% recycled 70gsm paper. Feint ruled. Punched 4 holes. 104 pages. 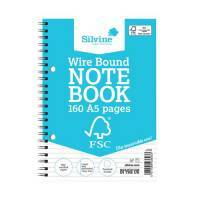 Silvine A5 Twin Wire Notebook 160 Pages Feint Ruled (Pack of 5) FSCTWA5 Pack of 5 Silvine A5 Twin Wire Notebook. Made with care in the UK. Perforated feint ruled pages. 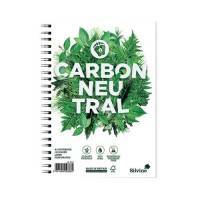 Silvine Carbon Neutral A4 Twin Wire Notebook 120 Pages Ruled With Margin (Pack of 5) R302 Pack of 5 Silvine CO2 Neutral Notebooks. For every ton of paper produced 6.1 trees are planted. 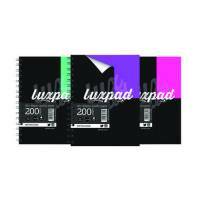 Twin wire A4 notebook with 120 lined pages of high quality 80gsm paper and fresh looking double sided covers. 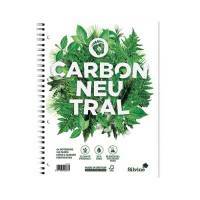 Silvine Carbon Neutral A5 Twin Wire Notebook 120 Pages Ruled (Pack of 5) R303 Pack of 5 Silvine CO2 Neutral Notebooks. For every ton of paper produced 6.1 trees are planted. Twin wire A5 notebook with 120 lined pages of high quality 80gsm paper and fresh looking double sided covers. 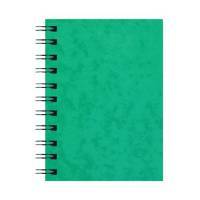 Silvine Recycled A4 Twin Wire Notebook Green 120 Pages (Pack of 5) R102 Pack of 5 "Silvine Premium A4 Notebook. Premium side wirobound pad manufactured in the UK. 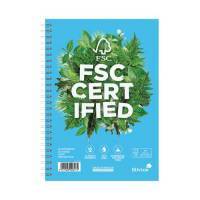 Each pad contains 120 pages of 100% recycled 80gsm, bright white, feint ruled and margin paper and features fresh looking double sided covers." 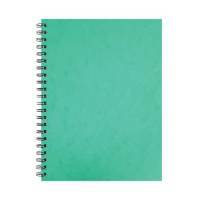 Silvine Recycled A5 Twin Wire Notebook Green 120 Pages (Pack of 5) R103 Pack of 5 "Silvine Premium A5 Notebook. Premium side wirobound pad manufactured in the UK. 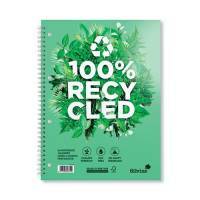 Each pad contains 120 pages of 100% recycled 80gsm, bright white, feint ruled paper and features fresh looking double sided covers." 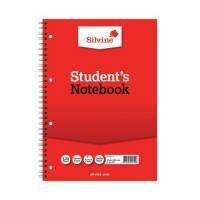 Silvine Twin Wire Notebook Blue A4 160 Pages Ruled With Margin (Pack of 5) R202 Pack of 5 "Silvine Premium A4 Notebook. Premium side twin wire bound pad manufactured in the UK. Each pad contains 160 pages of high quality, white, feint and margin paper and features fresh looking double sided covers." 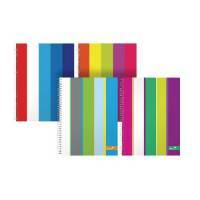 Silvine Twin Wire Notebook Blue A5 160 Pages Ruled (Pack of 5) R203 Pack of 5 "Silvine Premium A5 Notebook. Premium side twin wire bound pad manufactured in the UK. 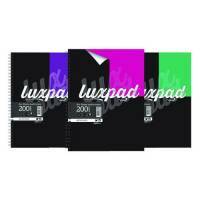 Each pad contains 160 pages of high quality, white, feint ruled paper and features fresh looking double sided covers." Silvine A4 Twin Wire Sidebound Refill Pad 80 Leaf (Pack of 6) S80Y Pack of 6 High quality spiral pad with perforated sheets for clean removal and easy filing. Pages full A4 size when removed. Punched 4 holes to suit lever arch or ring binders. Ruled feint and margin with 80 leaves. 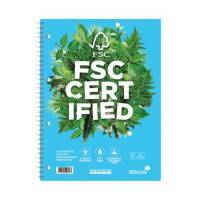 Silvine Spiral Bound Book 9x7 Inches 60 Leaf Ruled Feint (Pack of 12) 139 Pack of 12 Silvine twin wire student notebook. 120 narrow lined pages. Quality paper. Punched two holes. Durable gloss laminated covers. 229 x 178mm. 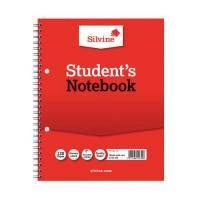 Silvine Spiral Bound A4 Book 60 Leaf Ruled Feint (Pack of 12) 141 Pack of 12 Silvine twin wire student's notebook. 120 narrow lined pages. Quality paper. Punched four holes. Durable gloss laminated covers. A4. Pack of 12. 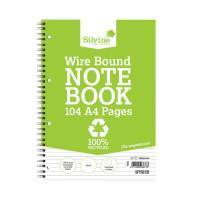 Silvine Wirebound A4 Notebook 100 Leaf Ruled Feint (Pack of 6) SPA4FEINT Pack of 6 Silvine Spiral Bound Notebook. Feint ruled with stiff green and yellow pressboard cover. Sidebound. 96 leaves. Perforated for easy removal of pages. Size: A4. 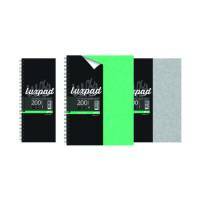 Silvine Wirebound A6 Notebook 96 Leaf Ruled Feint (Pack of 12) SPA6 Pack of 12 Silvine Spiral Bound Notebook. Feint ruled with stiff green pressboard cover. Sidebound. 96 leaves. Size: A6. Pack of 12.